Calvary offers ministry connections for Adults primarily through ongoing small group communities called LifeGroups, as well as Athletics, Men's, Women's and even Care Ministries. 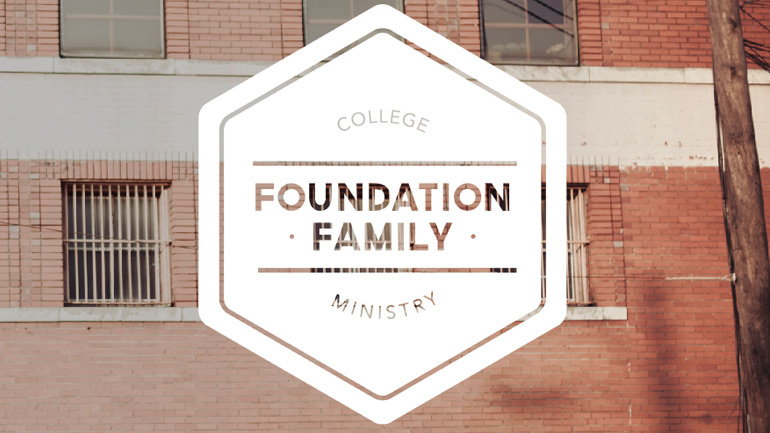 Foundation is a ministry to college students of Calvary Church of Santa Ana. Calvary Church is a community where we CONNECT with God and others to GROW in our faith so we REACH Orange County and the world for Jesus Christ. Although we are a college ministry, we recognize that college is not the path for everyone, so if you’re 18-23 years old, then come join us for some fellowship! We call ourselves Foundation because we desire to be a family who hold Jesus Christ to be the foundation for life. This idea comes from Jesus’ words as recorded in Matthew 7:24-25. Check our Facebook or Instagram for the address of the house we are meeting at for the week. Connect with the Foundation Family in the front right seats of the Worship Center. Millions of people are fleeing their home countries due to dangerous situations such as war and famine. Greece & Europe are getting around 1,000 new arrivals each month. In response to this situation, Calvary's College Group is partnering with GEM (Greater Europe Mission) and EuroRelief to assist in the needs of the refugees ending up in Lesvos, Greece. If you are interested in learning more about this trip and/or joining the team you can take a look at the application below. If you are in college, establishing or established in your career, single or married, and desire to connect with God, the church, and other young adults, then this is the place for you! We would love to have you join us every other Sunday starting February 3rd from 8:30-9:15 am in the Fireside Room for FREE Breakfast & Coffee. We really hope to CYA there!! Join us each Sunday morning at 9:30 am in the Worship Center for a time of worship through music, a biblical message and a time of response where you can take communion, pray with our prayer team and/or give financially. Our Young Adult group typically sits together on the front right hand side of the Worship Center during the service. After the service, stop by Connection Point in the Lobby to learn more about Young Adults and getting plugged in at Calvary. If you are looking for a group to connect with on a weekly basis that includes great teaching, community, and prayer, then this may be the perfect fit for you! Join us every Sunday after the Worship Service in room C-209. Join us for a large group gathering of worship, message time, and fellowship open to everyone. Our next meeting is Sunday, April 14th. We will meet in the Underground at 5:30 pm! 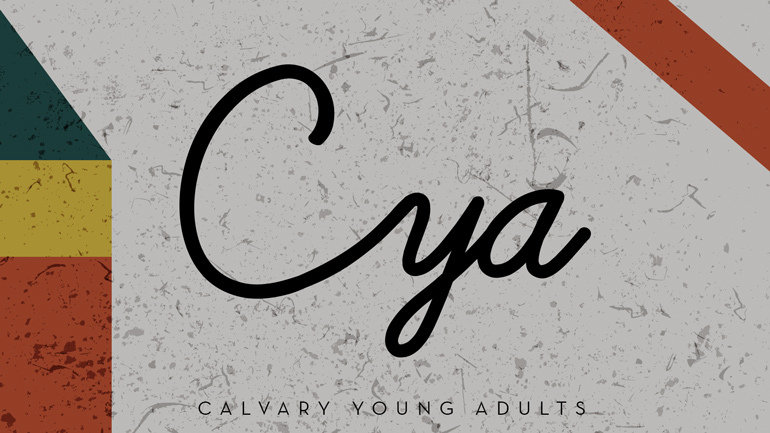 To learn more about the Calvary Church Young Adults Ministry, contact the College and Young Adults Pastor, Tim Nellis at or at 714.550.2391. Join us for Breakfast and Speaker at 8:00 AM in Fellowship Hall. Then from 9:00 - 11:30 am, head out with a team that will travel to area homes of the widows and elderly who need help with home repairs, yardwork, etc. 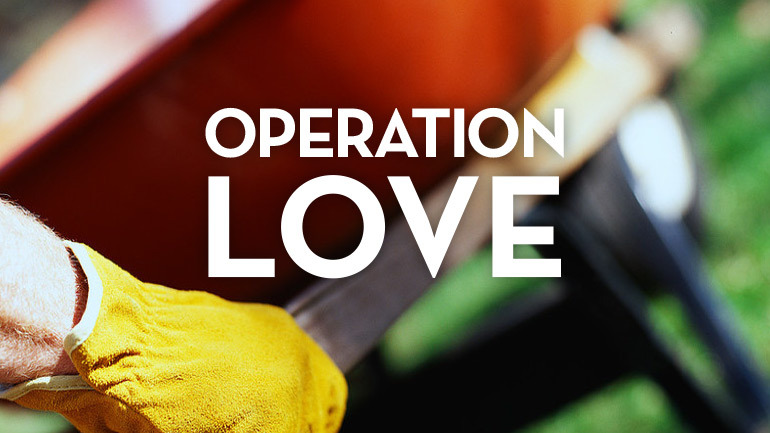 Next Operation Love Event: Oct. 12, 2019. Want to get involved as a handyman on an ongoing basis? There are ongoing opportunities to get involved and be a blessing to those in need. Email to find out more. Calvary's IMPACT Ministry is a forum for fellowship, aimed at those 50-65, but age is not the key factor. It's an opportunity to get connected and start building closer relationships among the adults at Calvary. While IMPACT is not a LifeGroup, our hope is that you can explore the possibility of taking a next step and joining a LifeGroup of someone you meet at an IMPACT event. There is usually one IMPACT event each month. 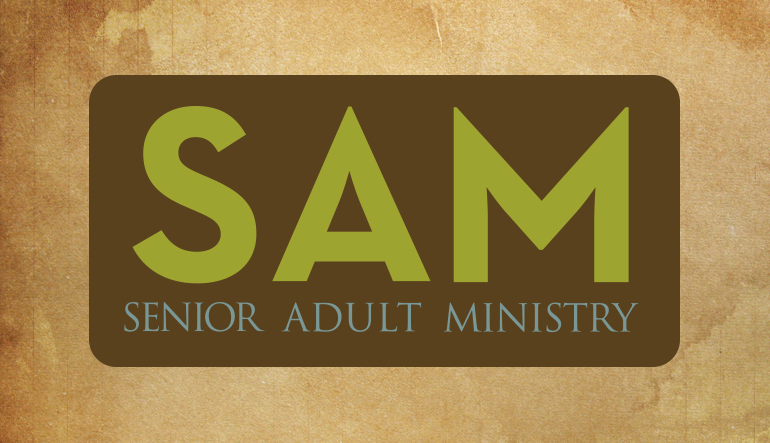 Some are joint events with SAM (Senior Adult Ministries), but most are independent. Benefit from a greater vision of the role you have with your grandchildren. Join us on the first Sunday of each month at 12:15 pm in Room N-1. Please bring your own lunch. Second Saturday of each month. 9:30-10:30am. We will visit and serve seniors at The Groves of Tustin Assisted Living Home. 1262 Bryan Ave., Tustin. Contact Bob at for further information. Special Event! Murder Mystery Dinner: Sat. May 4, 6:00-9:00pm at the home of Paul and Sandi Licata. Come mingle, have dinner and mingle some more while trying to solve the murder. Everyone has a part. Everyone is a suspect. Dress as the character you'll be assigned. Prizes for best costume. Tickets $15 on sale on Sundays on the patio. Rsvp required by April 29. Limited to 36 people. 714-241-7361 Licata home. 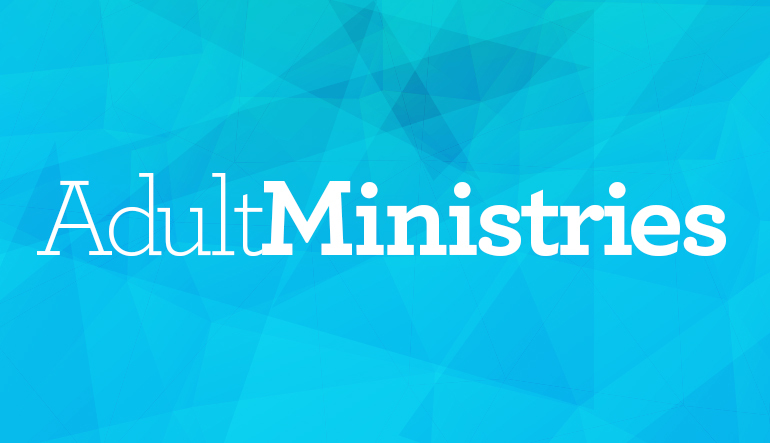 Adult Ministries Dinner: Tuesday, May 21, 6:30pm in Fellowship Hall. "An Evening With Trish". Our very own Trish Folsom will delight us with her beautiful piano music. $15/person. Available on the patio on Sundays. Beach Party: Sat. June 1, 5:00pm at Corona Del Mar State Beach. All ages welcome. Bring your kids and grandkids. We will provide the wood, paper goods, smores, and condiments. Bring your own drinks, hot dogs or whatever main dish you'd like, and bring an appetizer or dessert to share. Also bring a beach chair and light jacket. BBQ and Hobby Night: Saturday, June 22, 4:00pm featuring music by The Blue Grass Brethren. Fellowship Hall. Tickets $15/person. Available on the Patio on Sundays. Adult Ministries Dessert: Tuesday, July 16, 6:30pm Guest speaker Gary Richmond Storyteller. Tickets $5. Movie Night! Friday, August 2, 7:30pm at the home of Blair and Trish Folsom. Dessert Potluck. More details to come! Weekly email sent out every Friday with information on the week's or month's happenings as well as prayer requests, opportunities to serve, etc. Monthly newsletter - emailed out the first of each month to keep our adults in tune with what is happening during the month, opportunities to participate or serve, and birthdays for the month. 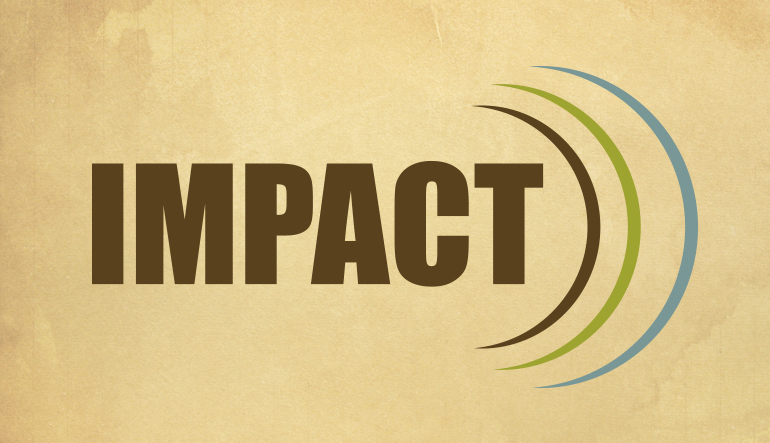 To learn more or receive updates about upcoming IMPACT events, please contact Stephanie at 714-550-2455. Adults of all ages are welcome to join us for an enjoyable evening of delicious dining, melodious music and a guest speaker - all for only $15 per person! These events take place on the third Tuesday of the month at 6:30 p.m. in the Fellowship Hall (Except for Aug and Dec). Tickets are available in the patio Sunday mornings prior to the dinner. Come join us for food, fellowship, and faith building. We look forward to meeting you! Join us for Bible study each Wednesday at 1:30 pm in Fireside Room. We are a group of grandparents that meet together to pray for our children and grandchildren and encourage each other with prayer, DVDs, discussions, and tips. Please bring your own lunch. Monthly newsletter - sent out the first of each month to keep Seniors in tune with what is happening during the month and opportunities to participate or serve.